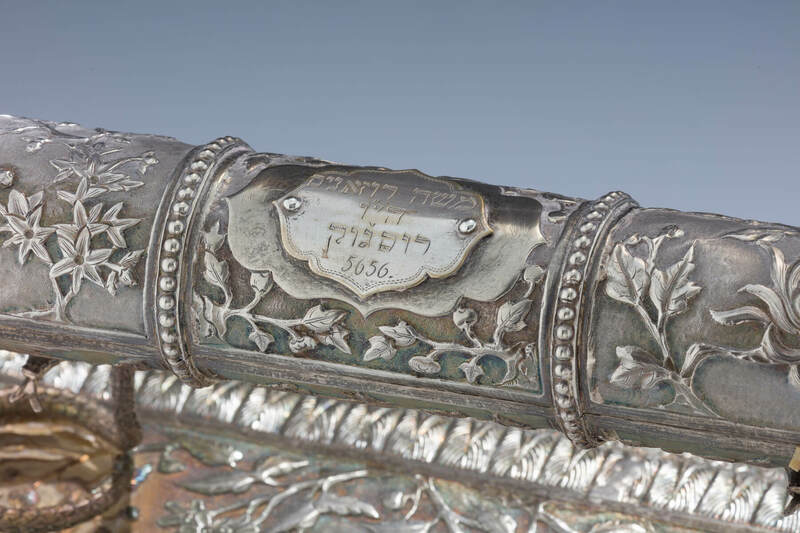 A LARGE SILVER MEGILLAH HOLDER WITH MEGILLAH. Indian or Chinese, c. 1880. Rectangle base mounted on four claw feet. Chased with leaf and floral design. 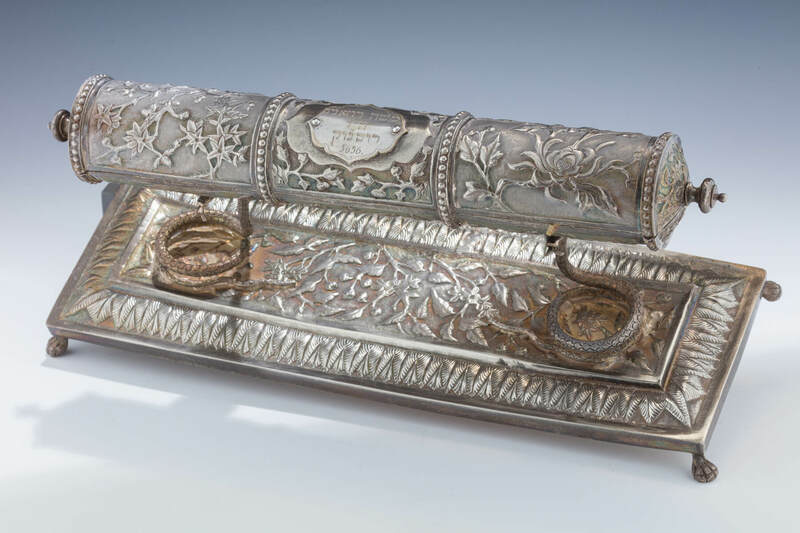 Scroll holder section supported by two snakes. Main section decorated with chrysanthemum and other organic designs. With mounted plaque indicating former owner’s name Moshe Rosnes and the date of 1895. 14” long and 6.6” tall. Megillah is 12” with the scroll portion being 5.5”.